What Are The Top 5 Reasons To Sell Your Charlotte Area Home In Fall 2018? Wondering what are the 5 top reasons you should consider selling your home during fall 2018? Find out here. 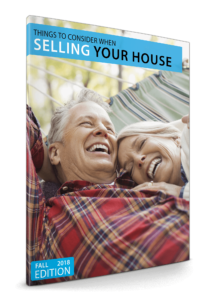 Plus, our Fall 2018 Home Seller Guide: “Things To Consider When Selling Your Home.” Don’t make a move without our Home Seller Guide. With the fall season officially upon us in just a few days, here are 5 top reasons why it might make sense to sell your Charlotte area home this fall. Strong Buyer Demand: buyer demand continues to outpace the supply of homes available for sale, especially for affordable homes. In the Charlotte region, as of end of August, we had only 2.4 months supply of homes for sale (down 17.2% compared with August 2017) and a decrease in overall inventory of 14.3% compared with one year ago. For homes priced under $300,000 in the Charlotte region, the months supply of homes is even lower at 1.9 months. It’s clearly still a seller’s market in the Charlotte area and it only makes sense to take advantage of current buyer activity and sell your home this fall. There Is Less Competition: with inventory so low, you’d be competing with fewer homes for sale, which also generates higher sale prices.Additionally, as home values continue to appreciate and as homeowners increase their equity, the pent-up desire of home owners to sell, which was stalled for a number of years, will increase competition and provide home buyers more choices. It only makes sense to take advantage of less competition in the current environment and sell your home in fall 2018. The Sale Process Will Be Quicker: Days on Market until sale keep dropping. In the Charlotte region, average days on market were 38 as of August, down 11.6% compared with August 2017. For homes priced between $100,000 and $300,000, days on market range from 23 to 36. The lower the days on market, the higher the price home sellers receive. It only makes sense to take advantage of opportunities to not negotiate sale price. There Might Not Be A Better Time To Move Up: if you’re thinking of moving up into a premium or luxury home, now is the time. Compared with “affordable” home inventory, there is an abundance of inventory in Charlotte for higher priced and luxury homes. For homes priced above $500,000 the Charlotte region’s Multiple Listing Service has 8.5 months of inventory and for homes priced above $1 million, we are looking at 14.4 months of inventory as of August 2018. Sale prices for premium and luxury homes also rose in August by almost 3%. With both home prices and interest rates projected to increase in the coming year, it only makes sense to lock in your costs now by selling your home and purchasing your move-up home. It’s Time To Move On With Your Life: there is something to be said for not putting your life on hold to wait out the “perfect” time to sell. It’s virtually impossible to time housing and financial markets to that extent. Waiting also leaves you waiting to see what happens in the future… we can’t predict the future. It only makes sense to make a decision to sell at a time when you have all the facts in hand. Contact Carolinas Realty Partners with Coldwell Banker if we can answer any questions you might have about the Charlotte metro housing market or about what listing your home for sale might entail. 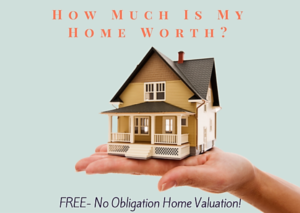 Wondering What Your Charlotte Metro Area Home Might Be Worth In Today’s Market? Wondering what are the 5 top reasons you should consider selling your home during fall 2018? Find out here. Plus, our Fall 2018 Home Seller Guide: Things To Consider When Selling Your Home.